October print for Deviant Rocks, who in their own words are…. offering unique, powerful fashion designs which pair quality fabrics with the finest Swarovski Crystals, to provide an unparalleled range of Luxury Casual wear. We’d go along with that! Celebrity Big Brother star Michelle Heaton has revealed she uses the revolutionary Sweatz Vest to help shift those extra stubborn pounds! Michelle, who is currently sporting a fabulously slim, new look, says the Sweatz Vest is perfect for losing weight and making the most of your workouts. Launched to help natural weight loss, the Sweatz Vest works by increasing your metabolism as you exercise by increasing your perspiration levels. I have been using the Sweatz Vest for over six months it really helps me to make the most of my workouts, said Michelle. It works by making you sweat more doesn’t sound too good, but it uses up more calories! The water lost is replaced by drinking, but the calories used to create the sweat stay off. Using the vest, coupled with a healthy diet, has helped me to lose two stone and keep it off which makes all the difference to the way I look and feel. I love the fact that even though it makes you think ‘urgh’ at first, it helps the body detoxify. The sweating removes chemicals stored in the fat cells, which makes my weight loss easier, added Michelle. The patented, and 100% toxin free, biodegradable vest is simply worn beneath your usual training clothing to help generate dynamic weight loss. The vest works by causing the body to sweat more, which uses up more calories. Effective for a range of sporting activities, and costing less than £10 for a pack of eight, the vest is thrown away after use and as it is manufactured from safe, toxin-free, 100% bio-degradable polythene, it will cause no harm to the environment, making it a win-win item for everyone. The vest can be used for gym exercise, cycling and cardiovascular workouts, circuit training, spinning and aerobic classes, jogging, rowing, weight training, walking/rambling and body contact sports. The vests can be purchased online at www.sweatzsportz.com. With a purchase price of £9.98 for eight, they come in both male and female styles and sizes. OCTOBER PRINT T-SHIRTS FOR BLUE CHEESE CLOTHING…. 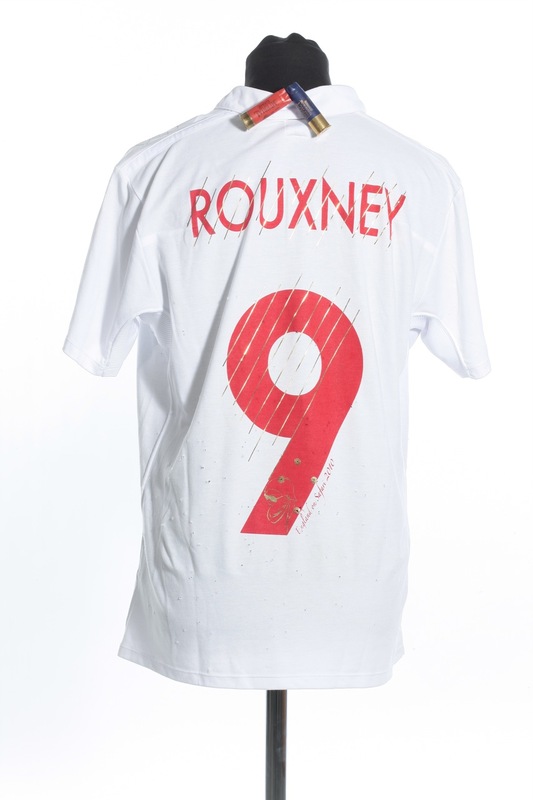 Loaded Umbro England Shirt, Chateau Roux! Soho-based Chateau Roux are best known for their beautifully soft, bespoke, hand printed garments – oh, and their eccentric imagination. Who else uses fabrics such as bamboo to create their tees, or a shotgun? The Chateau Roux ‘England on Safari’ shirt was inspired by next year’s World Cup in South Africa. 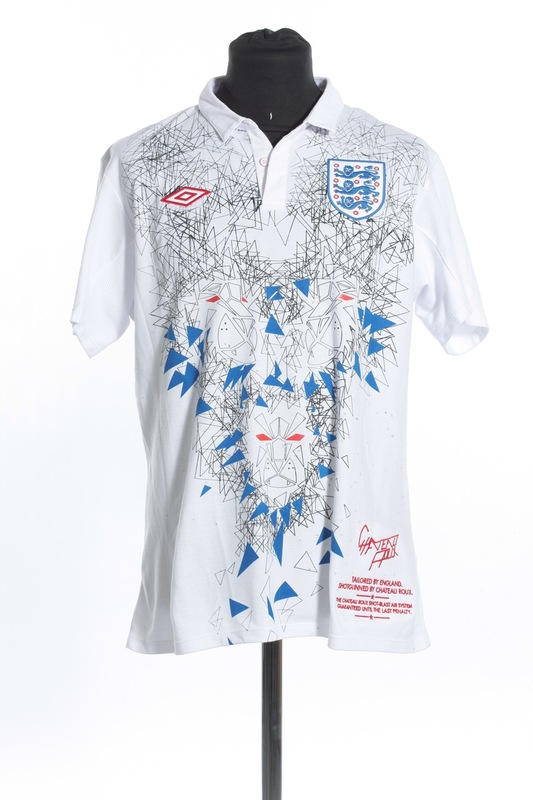 The design incorporates the iconic Three Lions using the triangles and bold shapes for which Chateau Roux are renowned, then the shirt was finished off using their not-patent-pending Shot Blast Air System, which is created by opening up a 12-bore shotgun onto it…They’re geniuses. Dangerous, dangerous geniuses. T-shirt printers and screen printers sometimes get twitchy and you may even hear a low pitched grumble at times when garment designers provide images that do not take into consideration the desired level of thought or print preparation when the creative juices are flowing. The ordinary business that may just want a cool image on T-shirts or polo shirts and may even require some cutomisation may not be aware of the colour separation problems or dot density issues when printing thin lines onto a course garment. 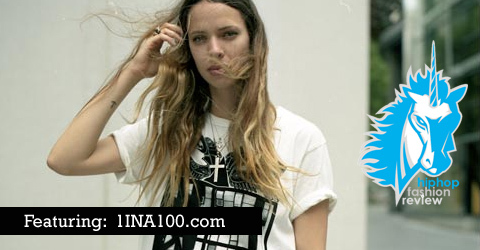 So “Yougraph” has come to the rescue with very cool graphics all print ready for decorating garments. What is the graphBOX of YOUGRAPH? Each graphBOX contains 30 royalty free, vector images developed by the designers of YOUGRAPH especially for the fashion market. The graphs, logos, prints and illustrations in each graphBOX can be resized in any dimension without losing resolution. The images are downloadable files in the extensions (.cdr) of CorelDRAW and (.ai) of Adobe Illustrator.